Easton accessories and clothing are products of Easton Inc. The organization is more than eight decades old and is a market leader in the manufacture of a number of products. 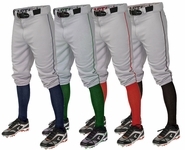 Easton makes baseball and softball gloves and bats, bikes and also accessories and clothing. Easton accessories and clothing are made from high quality material. 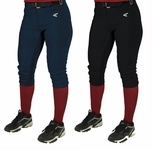 The Easton accessories and clothing include Easton Sports Mesh Shorts, Easton Diamond E Ponytail Ties, Easton Youth Pro Baseball Pants, Pullovers and T-Shirts and many more Accessories used by athletes and sportspeople. Easton accessories and clothing incorporate the highest quality. 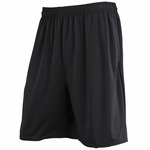 The Easton Sports Mesh Shorts are made with light weight polyester. The polyester mesh facilitates comfort and breathability. More over, polyester is resistant to fading, making the shorts durable. 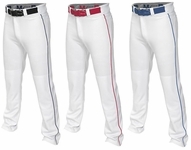 The Youth Pro Baseball Pant is made from 100% polyester/micro fiber technology. The pro-ribbed elastic waistband with sewn-down, set-in back pockets adds to style. The product combines style with performance for athletes. Another product in the array of Easton accessories and clothing is the Easton Gameday Pullover. These pullovers are made of high density, light weight nylon. They are both wind proof and water proof. And have ribbed shoulders for comfort and flexibility. Easton accessories and clothing also include items like Easton Embroidered Wristbands, Easton Pine Tar Spray, Easton Bat Weights, Easton Batter’s Elbow Protectors, Easton Power Pads, Easton Leather Grips, Easton Back-of-the-Hand protectors etc. accessories are available for the use of the players. The experience and the expertise of Easton go into the manufacture of each of these products and the players can be sure of the quality of each and every item of Easton accessories and clothing that they purchase. The Easton wristbands are made of cotton and provide very good grip. The Diamond E Ponytails are made of cotton and Lycra and are very stylish. The Easton Pine Tar enhances the player’s griping power. All the products in the range of Easton accessories and clothing come with the more than eight decade experience of Easton in the manufacture of sports equipment and accessories.